Kyrk Pyros is the owner of Full Circle Development, which comprises Allegheny Crane Rental and the George Washington Hotel. Kyrk is prideful in his work and business ventures, which is evident with his genuine and positive "can do" attitude. After receiving his degree in Structural Engineering from Penn State University, he created KP Builders. Continuing education reinforces his critical thinking with unparalleled knowledge in the field. His LEED Certification allows him to continue pushing boundaries with sustainable resources more than ever. He strives to be the best and promises to deliver. Kim Rowan is the office manager at KP Builders. Kim does it all; estimates and accounting to customer service and marketing strategies. She is a truly incredible woman with a spectacular attitude and work ethic. She works with efficiency and care to ensure the absolute top level of service for our customers. When others say something can't be done, Kim buckles down to find the perfect solution that will work for both the company and the client.  Don Conway is the Project Manager at KP Builders.​ He coordinates every step in the process of completing our construction jobs. Whatever it is, hiring contractors, job site analysis, securing necessary permits, or estimates, Don puts the customer first. He takes his job very seriously and will stop at nothing to provide our clients with the care and results that competitors simply can't match.